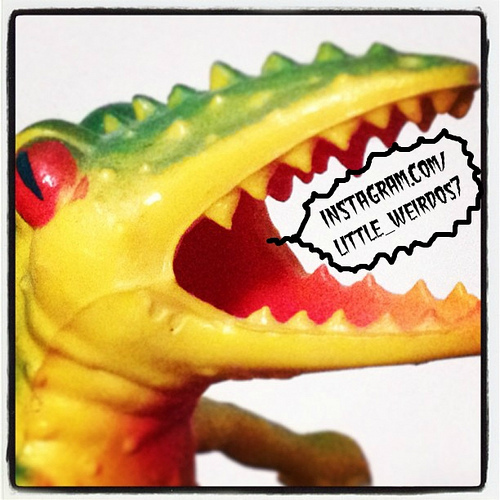 Little Weirdos: Mini figures and other monster toys: Little Weirdos on Instagram! Because I felt I needed to join yet another social network (ha ha), you can now follow Little Weirdos on Instagram! People kept asking me, "Are you on Instagram?" I kept responding, "No." But now I can say "yes," so please find and follow me here under the handle @little_weirdos7 (Froggacuda up there really wants you to). I will be posting different stuff there than I do here and on Flickr. Also let me know what your handles are so I can follow you.